Just click the donate button and you will be directed to our PayPal link and you can fill out your donation there. Thank you for supporting our missions work in Haiti. Our mission to Haiti relies on the generosity of your donations to fund the purchase of medical supplies for the Clinics that we host, and the purchase of food for the Feeding Programs that we have established. 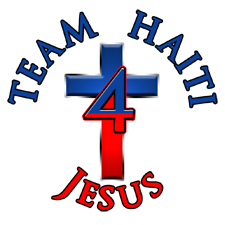 Your donation to Team Haiti-4-Jesus will make a major impact in the lives of the people in Haiti. No matter how you choose to give, we are grateful for your generosity. Every day, the lives in one of the poorest regions of Haiti are being changed because of donations made by people just like you. Get involved today! Help us feed the children. Your financial contributions are critical to the success of our mission. Each gift increases our ability to serve the Haitian people. There is no gift too small, when it comes to helping our mission. You have the option of directing your donation to a specific purpose or project should you desire. Just send a note along with instructions on how you would like your donation used. If you would like to contact us by mail, or phone, use the information below for phone numbers and mailing address. Make checks payable to:"Team Haiti-4-Jesus"